Dr. John Connolly is a lecturer in the School of History & Geography at Dublin City University. He received his PhD. from University College Dublin (2007) and an M.Sc. from the University of Sheffield (2002). He joined the Department of Geography in 2015 and is a member of the DCU Water Institute. Prior to this post he held a Marie Curie Fellowship at Lund University, Sweden and an EPA research Fellowship at University College Dublin. He co-ordinates both industry funded research projects and national (EPA) and international (H2020) project proposals. He has acquired research support of €850,000 since 2005 and has been the PI or Co-PI on several national (EPA) and International (FP7) projects. John’s research interests lie at the interface between earth science and earth observation. His focus lies in the use of geoinformatics to examine interactions between the atmosphere and terrestrial ecosystems. He is particularly interested in peatlands in Temperate, Boreal and Arctic regions and the affect that anthropogenic and natural disturbances have on these ecosystems and their ecosystem services. 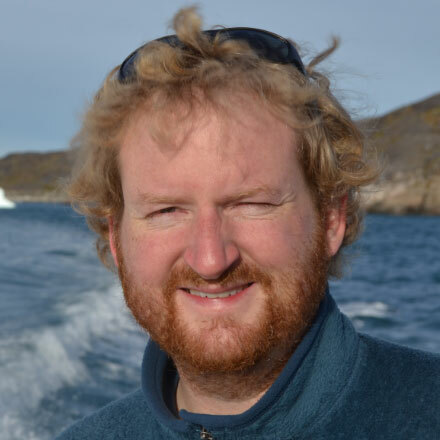 He is also interested in the use of earth observation big data and the IOT to aid and refine our understanding of carbon dynamics across the Arctic. John collaborates widely and has ongoing collaborations with researchers in Ireland, UK, Sweden, Denmark, Canada and the USA.